Impact Fitness Studio needed to cement its place amongst its target audience in a hyper-competitive market. In fact, they had about a dozen challengers in the same vicinity alone. 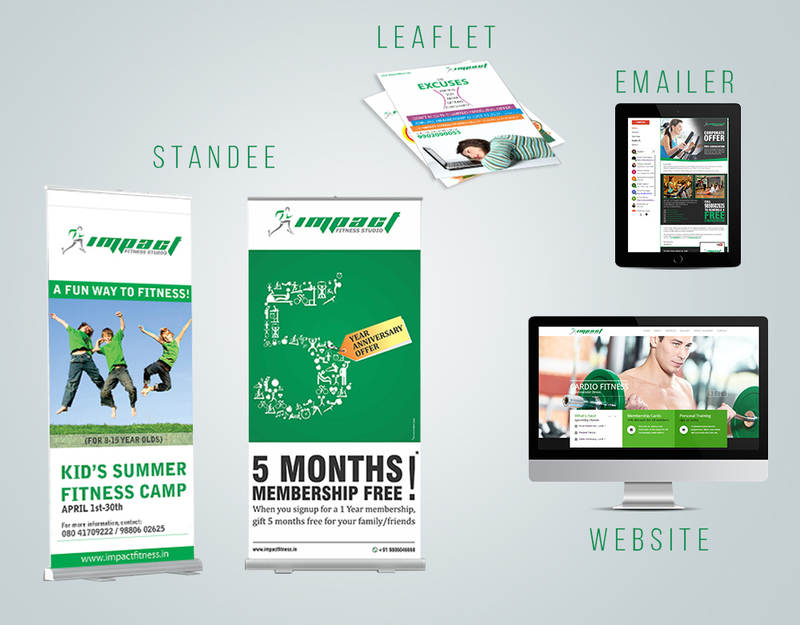 The primary challenge was to establish Impact Fitness Studio as a premium fitness and lifestyle brand, and this required an integrated strategic marketing approach. Leveraging our prior experience and domain expertise in integrated end-to-end marketing, we engaged in brand-building, starting with the design of their logo, website and other paraphernalia, keeping the competition as well as the target group in mind. We used carefully targeted content and design elements to build the brand in way that it would be relevant in its landscape. Impact Fitness Studio garnered a significantly positive response that aided brand differentiation in a highly saturated market, helping the company attract market share in a cut-throat landscape. After the immense success of our strategic marketing campaign, Circuit 9ers were told that they could go work out at Impact Fitness Studio any time, for free!